Dangerous conditions such as flooding, fire, large holes (not potholes, we know about those), and fallen trees. Hullett Marsh is a huge property with many projects, parking lots and trails to maintain. Only with the help of volunteers and generous donations can Friends of Hullett keep the marsh running. With only 2 staff members, usually tied to a desk, any and all help is greatly appreciated. FOH is always updating their website as well as their Facebook page and Instagram accounts. Because of this, you can help us from home! Website review: The website is always being updated and changed which means links and items can be broken. Users and viewers can help FOH by checking buttons, links, spelling and looking for gaps in information or ways to improve the site. Instagram: Follow us on Instagram and use #Hullettmarsh when posting your own photos. Photo Contest: Send in your photos for the 2018 photo contests for your chance to win a Hullett membership! FOH is always looking for new photos to use in reports and social media and photo contest just adds a little incentive to do so. Click here to view the Photo Contest Poster. Raffles and Events: FOH often has raffles and events going on. Currently, we have the Pheasant Challenge which is a raffle to help raise money for the 2018 Pheasant Release. With the purchase of a ticket, you have your chance to win an over/under shotgun and a 2000-watt portable generator. With the purchase of 2 or more, we will even mail you your stubs. 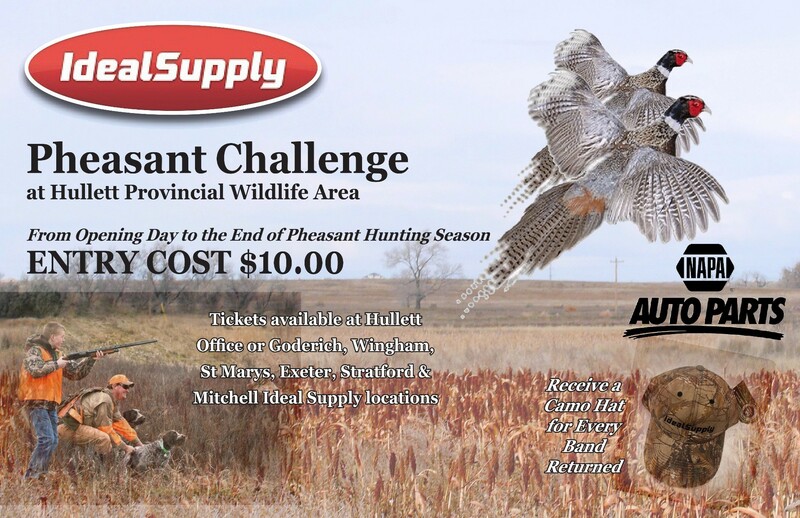 Click here to view the Pheasant Challenge Poster.